Clint Eastwood may be famous for doing the unthinkable, attempting to escape from Alcatraz, in the movie of the same name in 1979, but recently our family has experienced its very own great escape, which really is deserving of celluloid treatment. 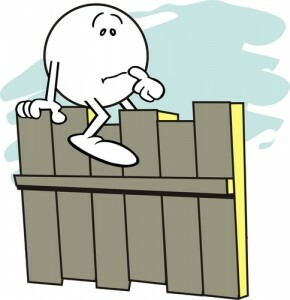 As grown ups it’s not very often that we climb fences any more – especially not to just get to the other side. The “seriousness” of adulthood means we probably don’t spend much time hanging upside from trees nor skipping down the road singing the theme song from the Smurfs either… unless, of course, we’re drunk or high and then both of these activities are perfectly acceptable in my opinion. 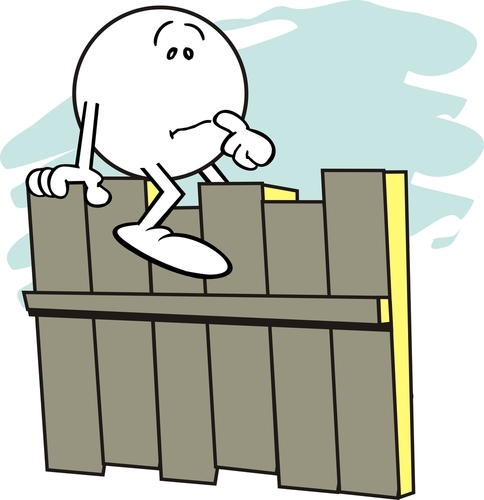 But the past few weeks have involved a lot of time in hospital rooms for our family because one of us decided to climb a fence to “make a break” when no one was looking, which alas didn’t end well. I’ve written before about the first time that mum spent time in respite and over the past year she’s stayed in a few different places with varying degrees of success. We’ve learned along the way that part of the “respite” process is that the family needs a break, too, so visiting has been kept to a minimum. Four weeks ago, however, an event took place, which may mean that mum will never go into respite again. Simultaneously a story was created that will live forever in the mythology of our family’s “achievements”. The thing about secure dementia wards is that they’re supposed to be just that – secure. Residents can’t come and go as they please because many of them would go and not know how to come back again. The thing about our mum is that she is younger than many people in respite, which means she’s more agile, she’s stronger and, let’s face it, she’s a hell of a lot sneakier (but that’s more to do with her personality than her illness and we love her for it). On that particular afternoon, we’re led to believe, mum must’ve decided that she’d had enough of respite. She reportedly spied a wheelbarrow in the garden, which we can only presume was left out by accident, and used it to launch herself over a six-foot fence. Mum is five foot four. Later that night I asked her what she was trying to do and she said she just wanted to get to the other side. Fair enough I think. With super-human strength she managed to get to the top of the fence, but it was at that moment (we presume as no one saw it happen) that she fell over the other side, breaking her ankle very badly in three places in the process. It makes me sad and very fucken angry to think about how frightened she must’ve been but that’s a rant for another day. Just like a movie, she landed in some type of no-man’s land, which required a hole to be cut in the fence for the ambulance officers to tend to her. Poor mum. Her great escape clearly didn’t go according to plan. Although Escape from Alzheimer’s does have a certain ring to it…. The next few hours were a mix of emotions – begrudging respect for her Houdini-like escape attempt coupled with fear as her condition worsened due to complications while in the emergency department. The situation wasn’t helped by the registrar’s demeanour, who I christened “Dr Happy” behind his back, who’d fill us in on various hurdles and setbacks as the evening wore on with a gravitas better suited to a mortician. His speech was punctuated with long pauses and over-emphasised sighs, which made my step-father and I think he was going to tell us mum had carked it at any given moment. It’s not an experience I want to revisit any time soon. No wonder I had to have a large scotch when I got home many hours later. So here we are, a few weeks on, with mum still in hospital following surgery on her ankle and a recovery directive that requires 24-hour care. She’s mainly in good spirits, although regularly confused about the (now) bright purple cast on her leg. She has visitors each day and we take turns singing Elvis tunes with her, while also deflecting her daily insistence that we smuggle in some scissors so she can cut the pesky cast off. Such a feat will no doubt ensure in her mind that she can engineer another great escape – this time from a hospital and hopefully one with a more successful outcome. Mum always was very crafty, so even after everything she’s lost she’s still there – as cunning as a weasel. Just like the good old days.